Sorry, I didn't mean for today to become "Virtual Console Day." I actually meant to post this earlier in the week, but I've been busy and couldn't get to it until today. NintendoPlayers.com recently scored an interview with Hudson's John Lee and came away from the experience with some very pleasant information. Not only did Lee spill the beans about some of the company's upcoming VC releases (Neutopia, Blazing Lazers and Ninja Spirit among them), he also suggested the cuddly TurboGrafx-16 mascot may be making an all-new appearance on the Wii at some point. 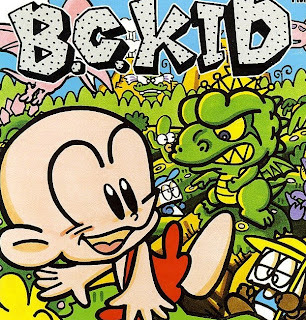 Is Red (the company that originally developed the Bonk games) even around anymore? If so, I hope Hudson puts them in charge of whatever idea comes out of such discussions.